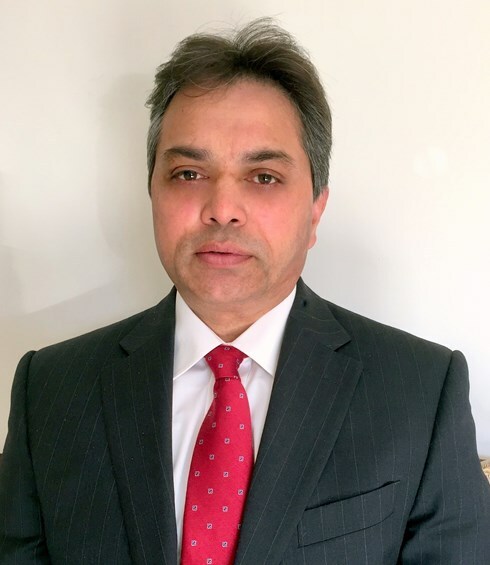 Having qualified in 1991, Mr Rao undertook his specialist training mainly in the south of England including at St George’s Hospital in London. He obtained his Fellowship of Royal College of Surgeons in 1999 and did his FRCS in Trauma and Orthopaedics in 2007. To nurture his special interest further, he has visited specialist hospitals in Germany, Belgium and USA. Mr Rao specialises in hip replacement surgery, knee replacements, soft tissue injuries around knee, ligament reconstructions of knee, management of simple and complex trauma of lower limb and periprosthetic fractures (fractures around Hip and Knee replacements). He is part of On call Orthopaedic consultant team at St Richard’s hospital and manages acute orthopaedic emergencies and fractures.He lectures nationally and internationally on primary and revision knee arthroplasty, hip abductor (muscles around hip) repair and on management of periprosthetic fractures around hip and knee. He is involved in teaching of Core surgical trainees, higher Surgical trainees and other junior doctors of Western Sussex Hospitals Foundation NHS Trust and does their periodic assessments during training. Fractures around hip and knee replacements. Mr Rao has immense interest in clinical research and loves presenting his clinical work in various international and national meetings. Surgical Site infections in MRSA carriers of Hip & Knee arthroplasty - European Federation of National Assemblies of Orthopaedics and Traumatology (‘EFORT’ 2014) annual Congress in London. Extraction of well-fixed Trabecular metal cones from Tibia in Revision Knee arthroplasty - (Société Internationale de Chirurgie Orthopédique et de Traumatologie) Orthopaedic World Congress; October 2013. Surgical reconstruction of failed hip Abductors - A new technique using Graft Jacket allograft acellular human dermal matrix. ’International Orthopaedics’’ 2012 October. Distal Segmental Femoral Replacement for Complex Distal Femoral Fractures in the Elderly. - European Journal of Trauma and Emergency Surgery. April 2014. Primary Meningococcal septic arthritis of ankle joint: Journal of Foot and Ankle Surgery. 2014 March-April. Management of osteonecrosis of proximal tibia using Osteonecrotic rods. Clinical Orthopaedics and Trauma; June 2012. Mr Madhu Rao does not hold a share or financial interest in this hospital, another Nuffield Health hospital or the company. Mr Madhu Rao does not have a share or financial interest in equipment used at this hospital or another Nuffield Health hospital. Mr Madhu Rao does not hold any paid advisory role(s) at this hospital or on behalf of Nuffield Health.